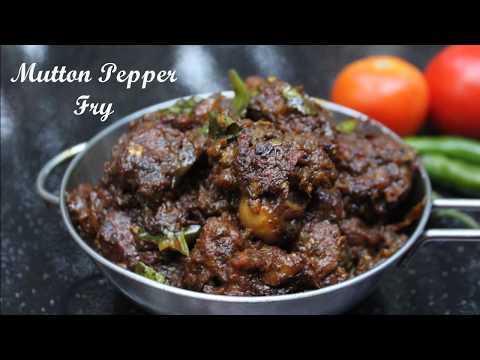 Check out the video of making Mutton Pepper Fry to ease your cooking...Also please don't forget to subscribe my You Tube channel: 12recipebook. 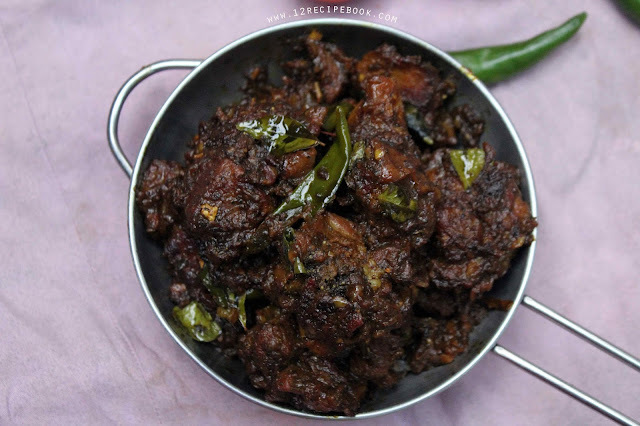 Mutton pepper Fry is a finger licking spicy mutton preparation. It's simple easy to make and not much more spices are used. Do try them for once and you won't be disappointed. Heat a pan with coconut oil; add a teaspoon of pepper powder; mix well. Add chopped onions and saute them well until golden brown in color. Add ginger, garlic and green chilly; saute until raw smell goes off. Add chopped tomatoes and saute them until mashed well. Add all the remaining spice powders and mix well. 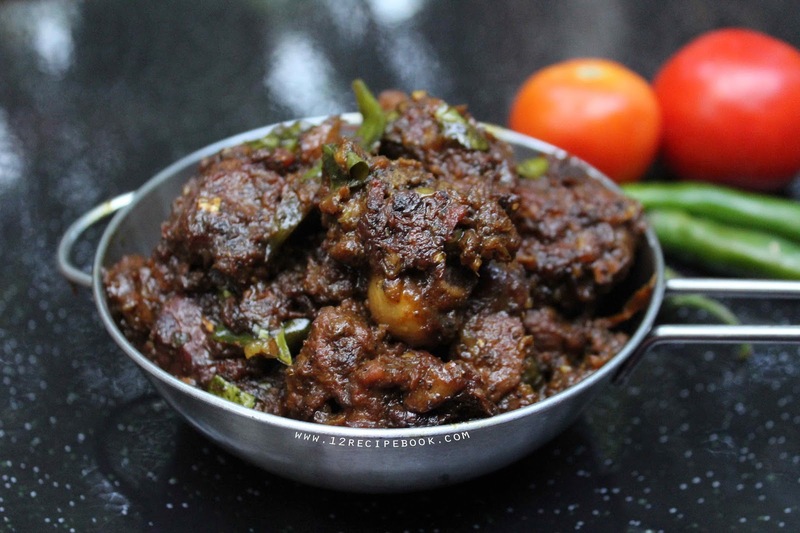 Add mutton pieces, salt and curry leaves. Mix well; cover the lid and cook on high flame for about 0 minutes. After that add half cup of hot water; mix well. Cook covered for another 30 minutes or until the mutton pieces get cooked nice and tender (stir often by opening the lid to avoid burning) (or you can pressure cook for three whistles). After that open the lid and dry out all the remaining the water content by heating on high flame. Sprinkle little more pepper powder on top and serve.. 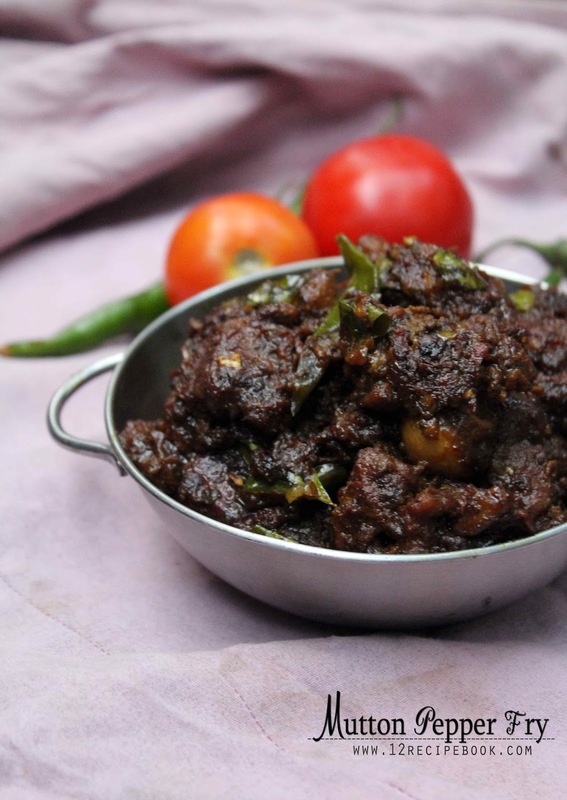 I tried your recipe its very tasty and i would like to eat it again and again thank you for sharing.